What are bitepads? 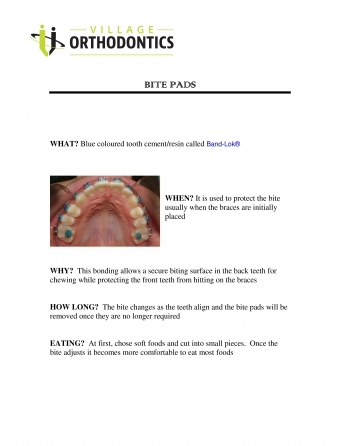 Read below to learn more about your orthodontic treatment. When might I use a bitepad? Why would I need a bitepad? How long do I have to use a bitepad for? How do I eat with a bitepad?